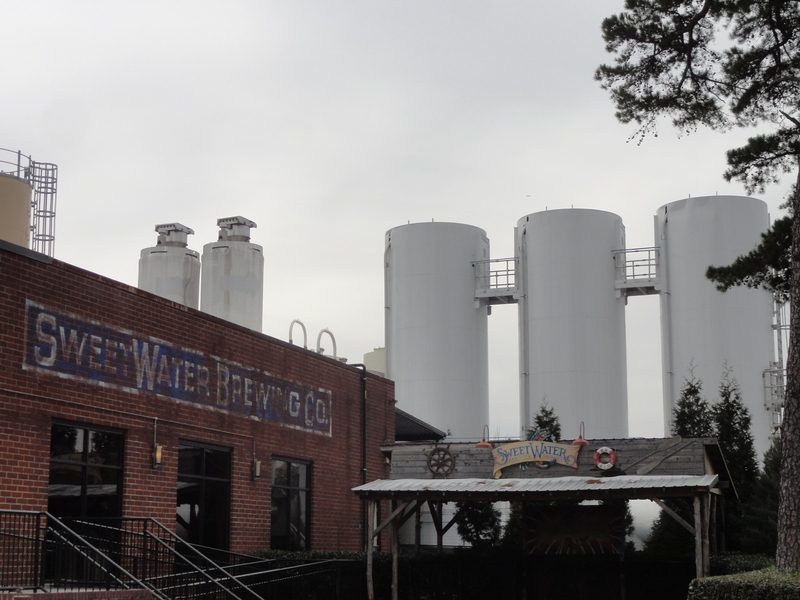 We had originally planned on checking out SweetWater Brewing Company for their Thursday night tour, however it was cancelled due to the weather and dangerous road conditions. We definitely wanted to check them out prior to leaving town and were fortunate enough to get ahold of ‘Diggs’ and set up a time in the afternoon on Valentine’s Day prior to leaving for Birmingham, AL. We met up with Diggs in the spacious taproom and were soon joined by Zak Ray – the Resident Sipster who handles events, tours, and beer education – for a tour of their expanded facilities. This was by far the largest operation we have been able to view completely and it was very enlightening for us to see the stark contrast from the smaller, younger breweries that we focus on and very much enjoy visiting. 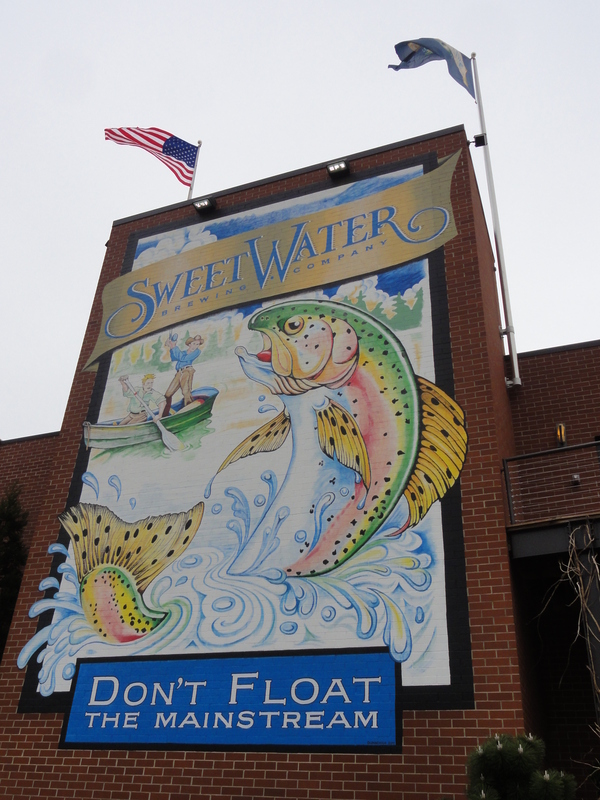 SweetWater was established in 1997 by two college roommates at the University of Colorado in Boulder, Freddy Bensch and Kevin McNerney, and has been making award winning beer ever since. They both got degrees from the American Brewers Guild then proceeded on to a wide variety of ventures in Colorado and the West Coast. In 1996 Freddy came to Atlanta for the Olympics and realized that the area was really in need of a West Coast style brewery. 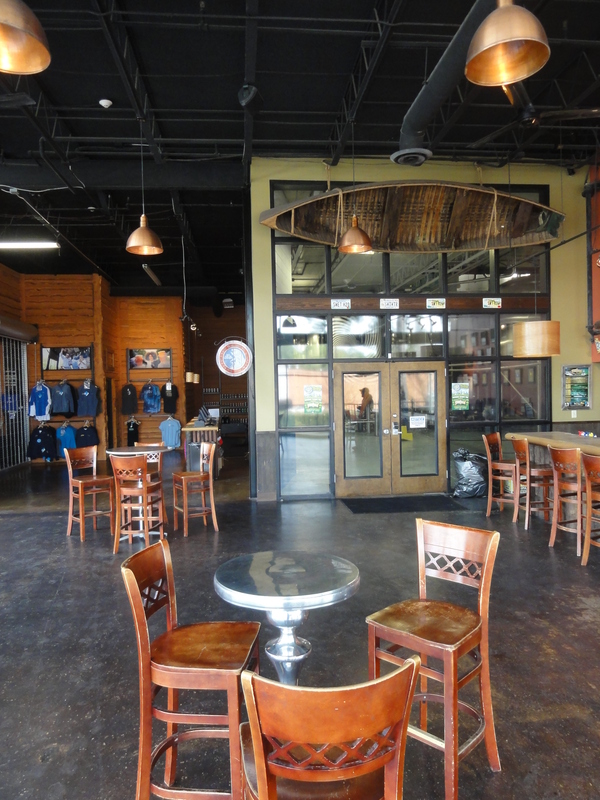 He and Kevin began raising money and were able to open the brewery’s original location on Fulton Industrial Blvd. 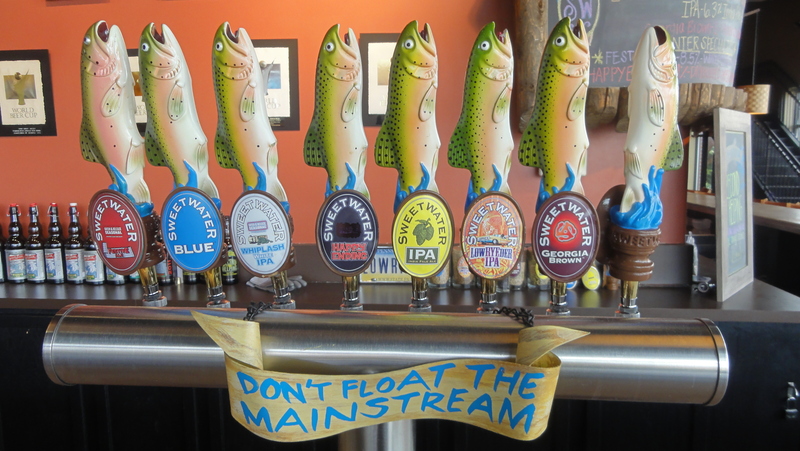 Apparently the brewery’s name came to Freddy as he was kayaking on the local Sweetwater Creek and their motto “Don’t Float the Mainstream” came along soon after. 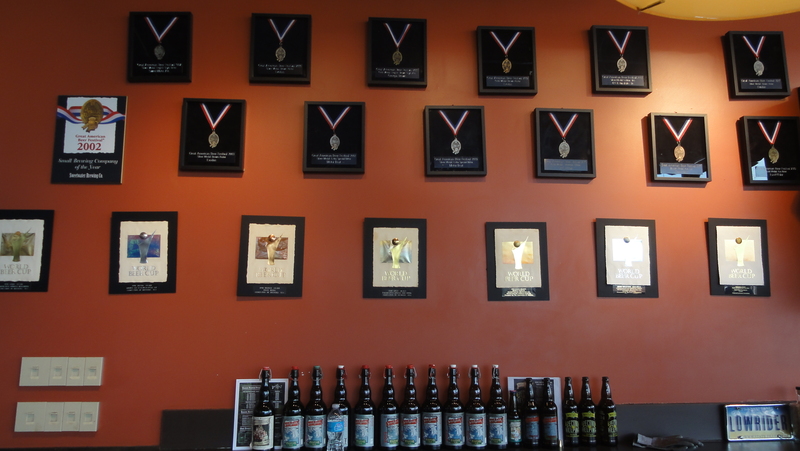 In 2008, Kevin moved on to a new endeavor at 5 Seasons Brewing Co, where we visited earlier in the week, and now Mark Medlin, graduate of the UC Davis Brewers Program and formerly of Goose Island Brewing Co, serves as Brewmaster. They have experienced consistent growth and in 2004 moved to their current facility. Even that move was not enough and in 2011 they began a $19 million expansion while showing 23% growth that year. Along with the improvement in facilities, about 35 additional employees have been hired. 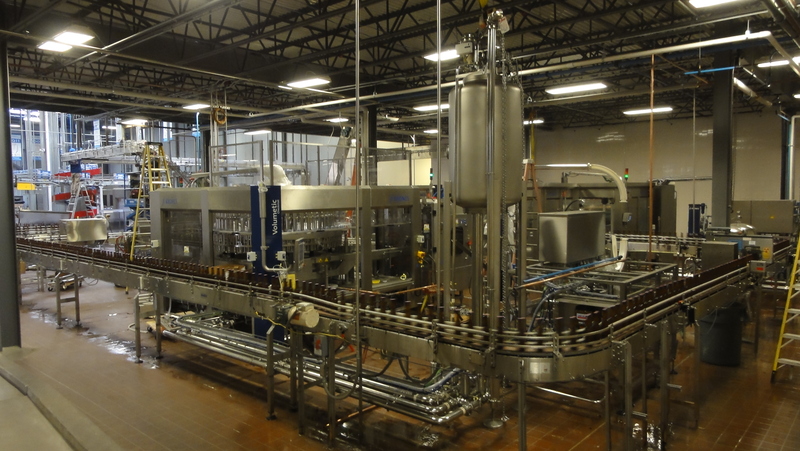 The expansion included addition of a new bottling line which is operational today and churning out Sweetwater beers at 550 bottles/min. A jet of cold water is shot into each bottle causing foam over that forces out all oxygen prior to capping. 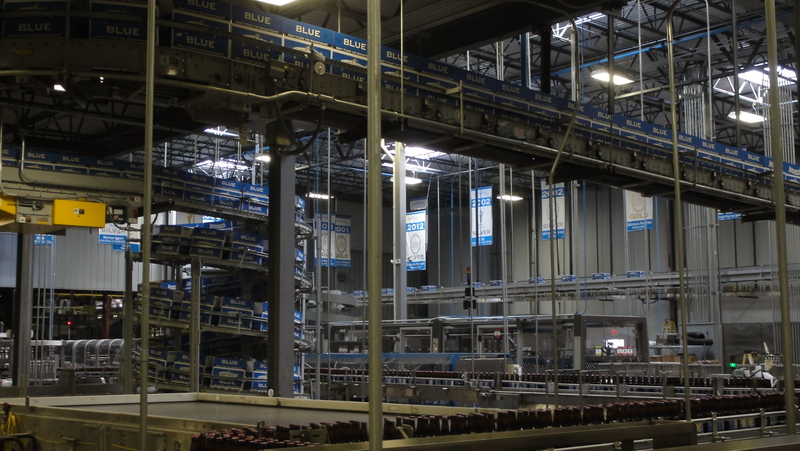 The line features a laser for bottle fill level detection with a bumper that pushes low and high fills off the line as well as automated packaging of bottles into cases and even forming and wrapping those cases into pallets. 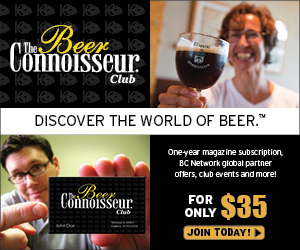 At that rate, approximately 7,000 cases of beer can be packaged in a typical 8-9 hour day. The company recently purchased a new segment of the line to enable canning and plans to have this operational within the next few weeks, canning their 420 Pale Ale and IPA in 12 oz and 16 oz options. 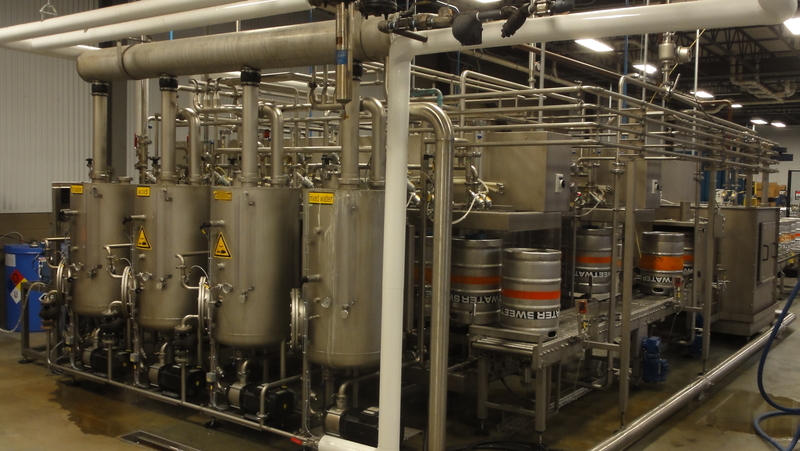 A new kegging line has also been installed which increases fill time from 1 keg/min to 4 kegs/min. 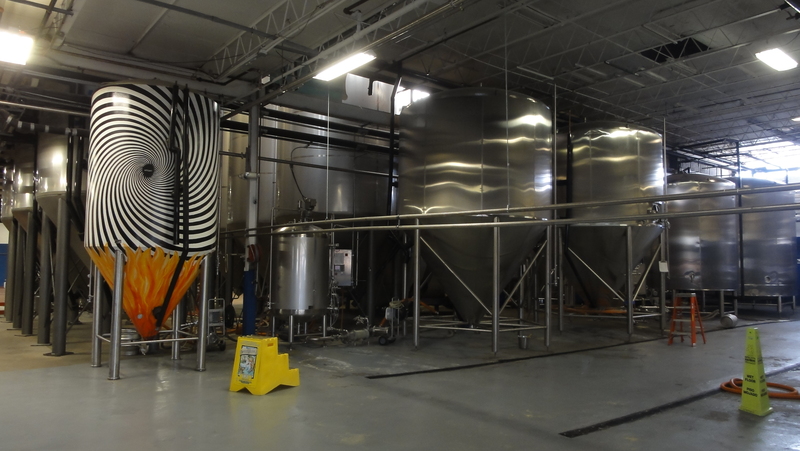 In addition to the upgraded packaging facilities, the brewing equipment has seen a massive overhaul. 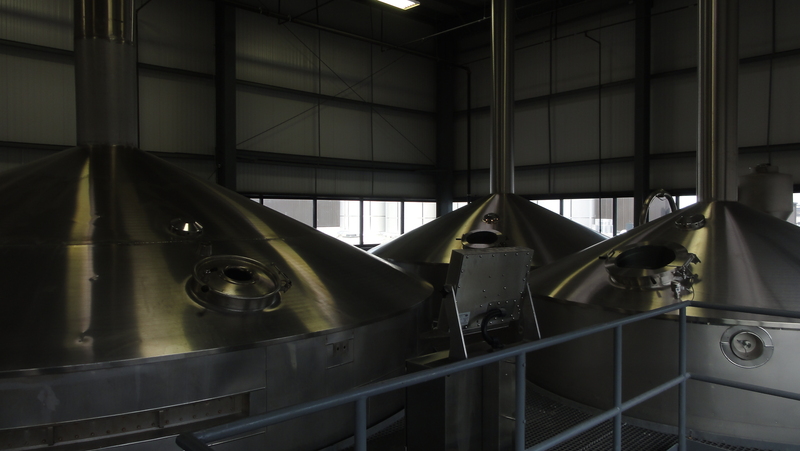 The previous 50 bbl brewhouse was sold and replaced with a monstrous 400 bbl brewhouse. Prior to this, brewers were working around the clock to keep up with demand. 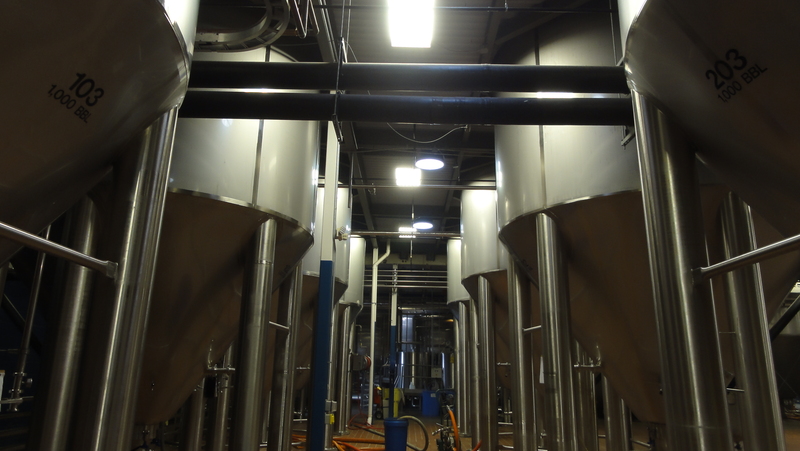 In a video on their website, Freddy explained the brewhouse enables them to brew larger volumes at one time, “But more importantly, allow us to slow down and pay better attention to the quality of our beer.” The addition of ten 1,000 bbl fermenters and four 1,000 bbl bright tanks completes the equipment upgrade. The fermenters are 65 ft tall and can be seen clearly from outdoors since holes had to be cut in the ceiling to accommodate their height. 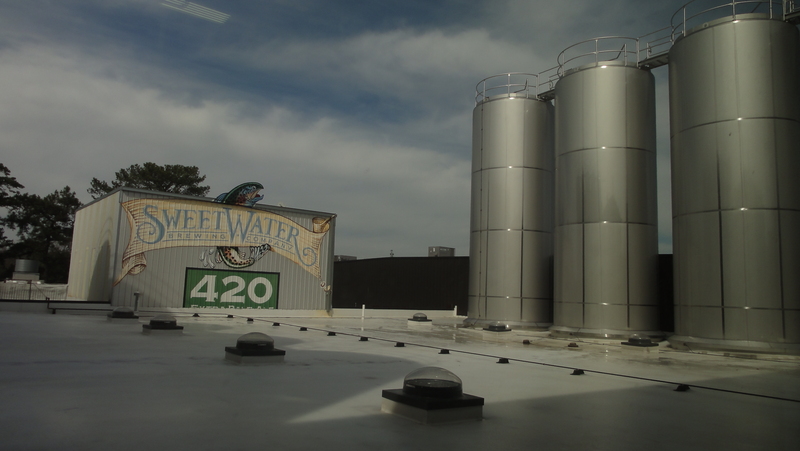 They are used primarily for SweetWater’s three year round flagships – 420 Pale Ale, IPA, and Blue – and in some batches can require as much as 200 gallons of yeast which are prepared in large propagation vessels. Prior to the expansion, in 2007 six 400 bbl fermenters were installed and are used for other year-round beers LowRYEder IPA and Georgia Brown as well as seasonals: Festive Ale spiced strong ale, Happy Ending hoppy imperial stout, Whiplash White IPA, Road Trip Pilsner-style ale, Waterkeeper hefeweizen ale, and Motor Boat ESB. Interestingly, Zak shared that while the tanks were being shipped they ended up just a few inches too tall to fit under the bridge leading to their facilities. In a work of ingenuity, the air was let out of the tires so they could creep under the bridge before being re-inflated. After all is said and done, Sweetwater has increased their production capacity from around 100,000 bbl/year to nearly 500,000 bbl/year though they have not nearly begun to reach that level. 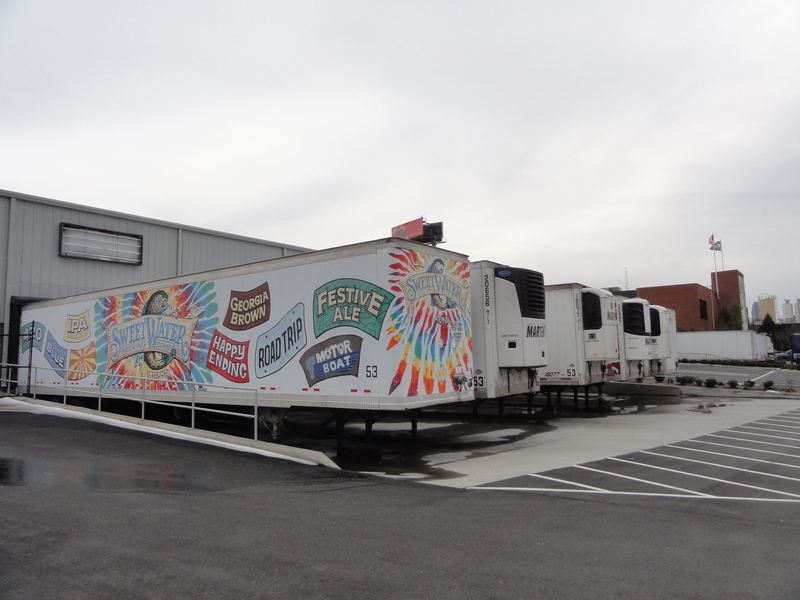 After a few years of stagnation in distribution, the completed expansion has allowed SweetWater to reach out further and, utilizing 40+ distributors, they are currently available in 8 states: GA, FL, SC, NC, AL TN, LA, KY, and most recently VA. 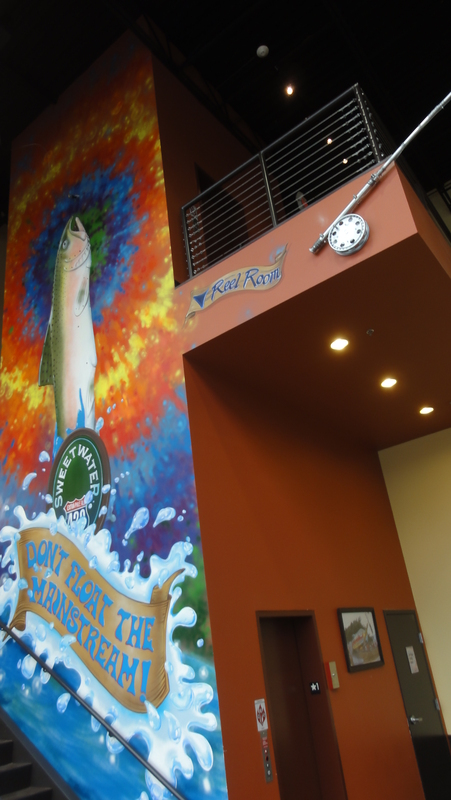 This afternoon Sweetwater will host their 17th Anniversary Party and the sold out event looks to be a great time. Zak shared that the theme is “17 Years of Heady Beers” and they will debuting their 17th Anniversary Saison and breaking out all types of great cellared and barrel aged beers. Last year’s anniversary bash had 3,500 people in attendance which is their cap for big events. The one-off Dank Tank series brews are usually done four to five times per year in 100 bbl or 150 bbl batches and allow the brewers to get creative with new styles. Releases over the past several years have included Big Ol’ Belgian Blue Balls (BOBBB) imperial Belgian wheat and rye ale with hand-picked blueberries from Serenbe Farms, Fresh Sticky Nugs fresh dry hopped double red ale, 16 So Fine red wheat wine ale (the 16th anniversary beer), and Some Strange II black IPA. We may have spotted some highly coveted Citra hop resin in cold storage and look forward to pondering how it could be utilized in a future Dank Tank release. In line with the company’s focus on the fundamentals – quality, people, and community – SweetWater has been very engaged with nonprofit organizations. Proceeds from the seasonal Waterkeeper go to support Chattahoochee Riverkeeper in partnership with Waterkeeper Alliance which helps keeps water in the region clean. Crank Tank Helles lager (the only lager done at SweetWater) is brewed in a style one would want following the Spin for Kids charity mountain and road bike rides. The race is preceded by the Crank It Up kickoff party and SweetWater and 4 other companies were able to raise $330,000 dollars to benefit Camp Twin Lakes, an organization that hosts week-long and weekend camps for children with similar disabilities, illnesses, or life challenges. That money was able to cover the complete costs of the camp, travel, and medical needs of 82 children. Also, Second Helping Double IPA made with juniper berries is unique in that 100% of the proceeds are donated from the brewery, distributor, and the retailers. The beer was created in collaboration with The Giving Kitchen which offers crisis grants for workers in the restaurant business experiencing an unanticipated hardship. This charity is providing a vital service in an industry that has notoriously limited health insurance. All of this on top of their annual social awareness inspired SweetWater 420 Festival which is celebrating it’s 10th Anniversary this year in Centennial Olympic Park. If you were too slow to buy tickets to today’s anniversary shin-dig you can visit the brewery for weekly tours and tastings, Wed – Fri 5:30-7:30pm and Sat – Sun 2:30-4:30pm. 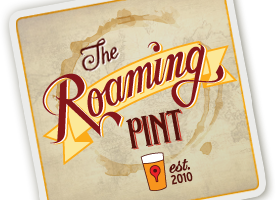 $10 gets you a souvenir pint glass and 6 tasting tickets or complimentary tasting cups are available. Each event is capped at 1,000 attendees, which can happen on weekends, and tours run a few times throughout the 2 hour time frame. Go and enjoy the party! 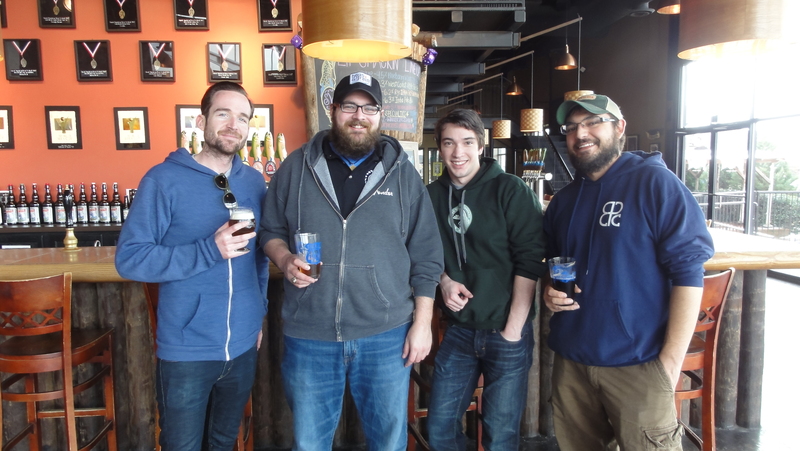 Thank you very much to Diggs and Zak for taking the time to show us around the expansive facilities and to Head Brewer Nick Nock, who also happens to be SweetWater’s first employee, for chatting with us on the brew deck and in the taproom.